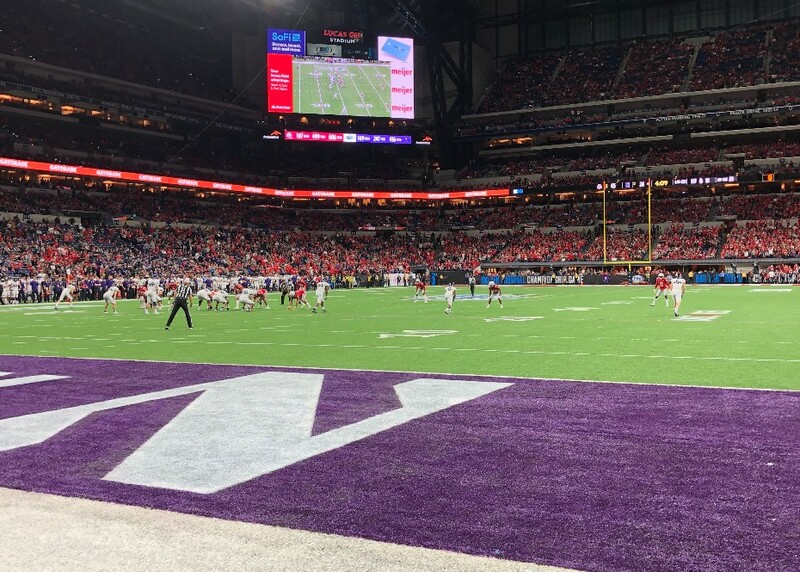 The Ohio State Buckeyes successfully defended the Big Ten Championship with a 45-24 win over Northwestern. OSU jumped out to a 24-7 halftime lead and then held off a Northwestern rally before pulling away late in the game. Quarterback Dwayne Haskins threw for 499 yards and five touchdowns. Senior wide receiver Johnnie Dixon had 129 yards receiving and a touchdown, and sophomore defensive end Chase Young had three sacks and a forced fumble. Now the Buckeyes will have to wait for the College Football Playoff Committee to decide where they will play next. But before that happens, the team will spend the night enjoying their big win. You can get a first-hand look at the end of the game and the postgame ceremony and celebration on the field through the eyes of The Ozone staffers below. Well deserved title and something that no one thought would be OSU just 8 days ago and definitely after the PUR blowout. NW made a gallant come back, but really didn’t have the star power to hand with OSU. True, we’ll have to wait for the selection committee, but watching OSU’s band in The Rose Bowl isn’t really that bad either.